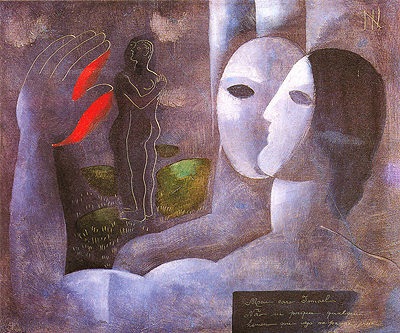 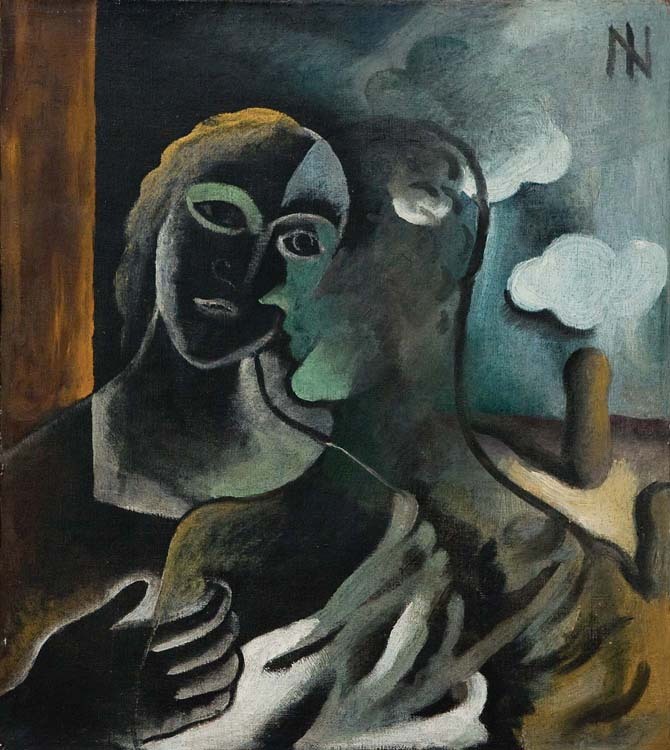 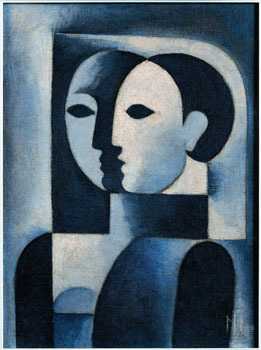 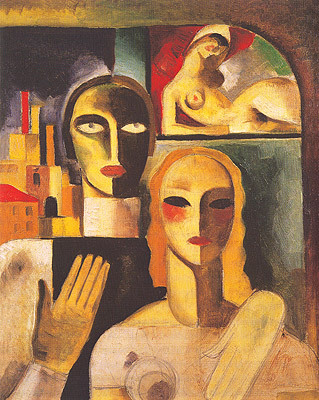 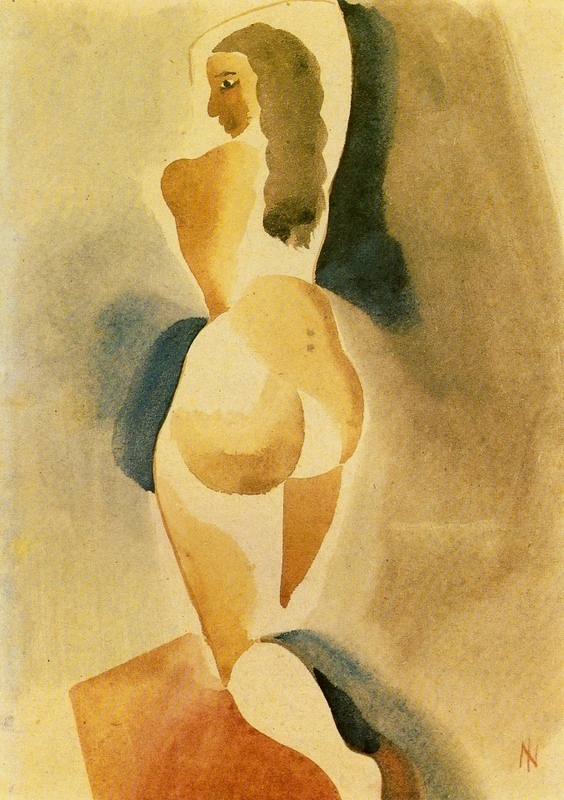 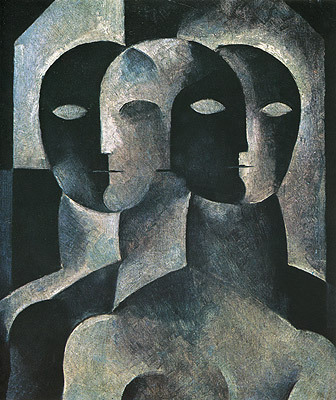 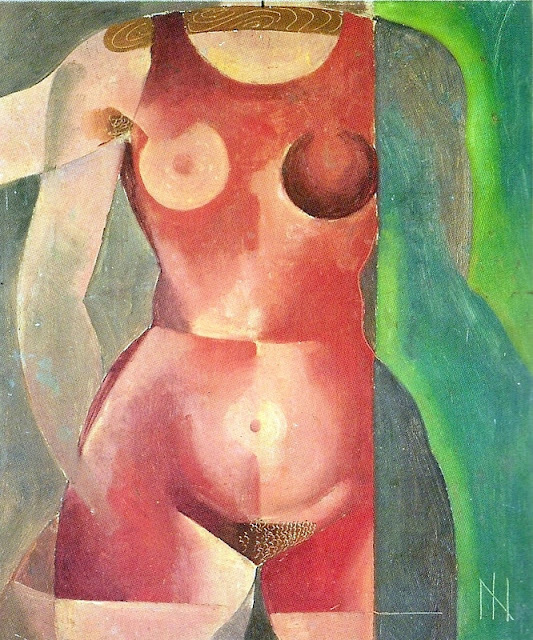 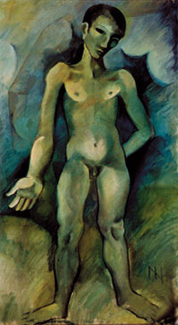 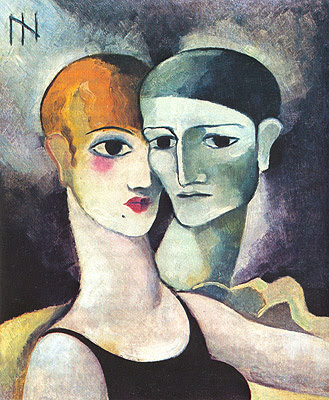 Ismael Nery o Néri (Belém 1900 - Río de Janeiro 1934). 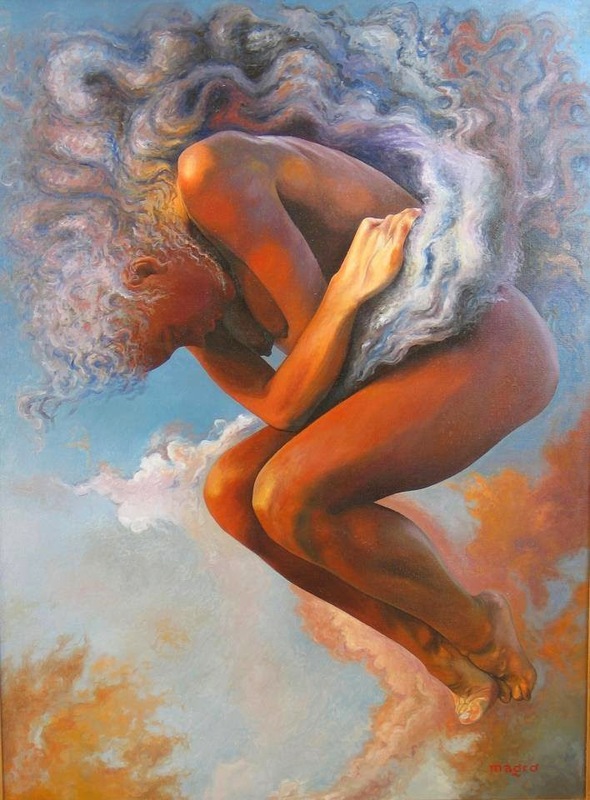 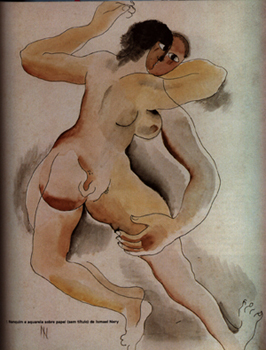 Brazilian painter, draughtsman and poet. 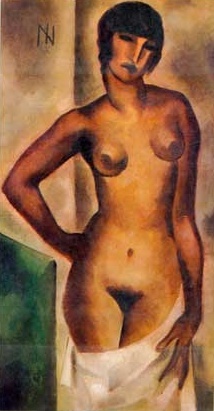 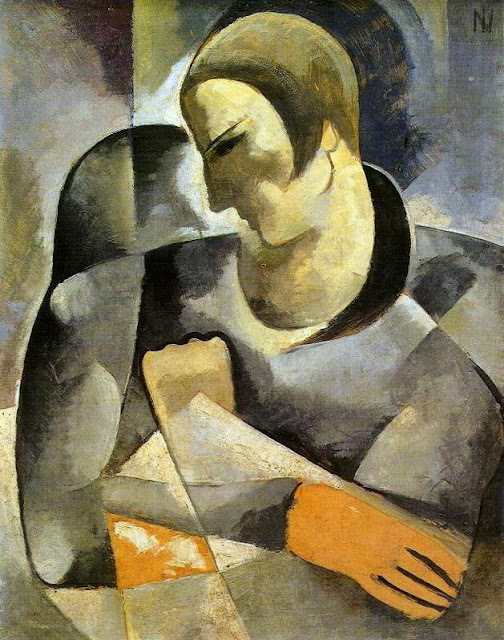 He went to Rio de Janeiro in 1909 and enrolled in the Escola Nacional de Belas Artes in 1915. 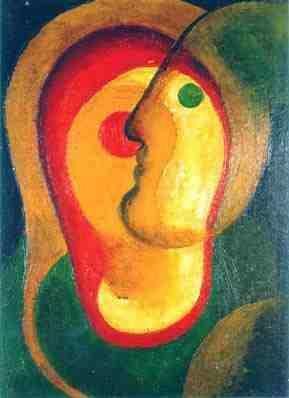 In 1920 he made his first trip to Europe, completing his studies at the Academie Julian in Paris. 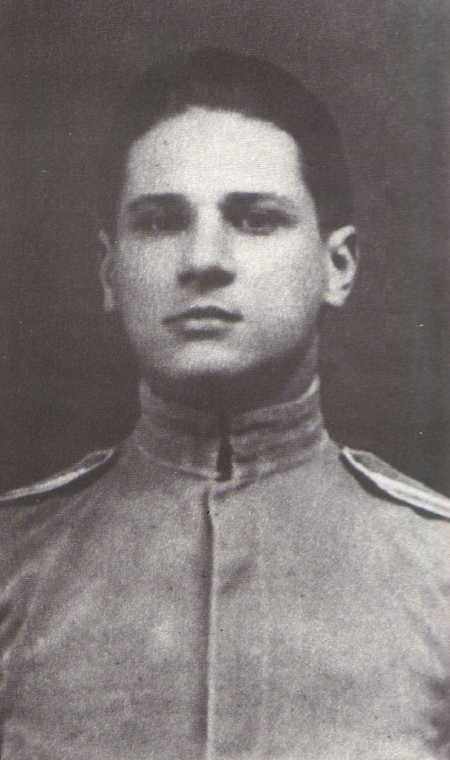 On his return to Brazil in 1921 he worked as a technical draughtsman in the Patrimonio Nacional architecture and topography section of the Treasury. 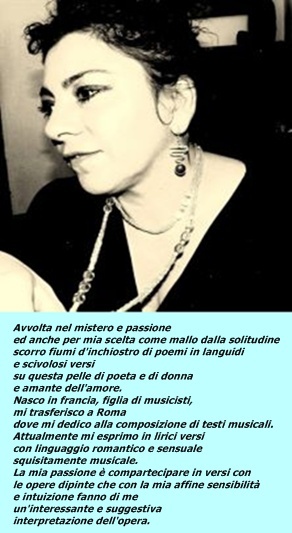 In 1922 he married Adalgisa Noel Ferreira, who was to become known as the poet and novelist Adalgisa Nery. 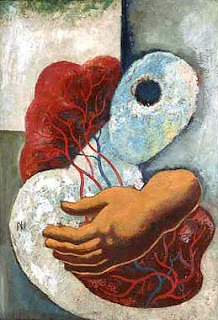 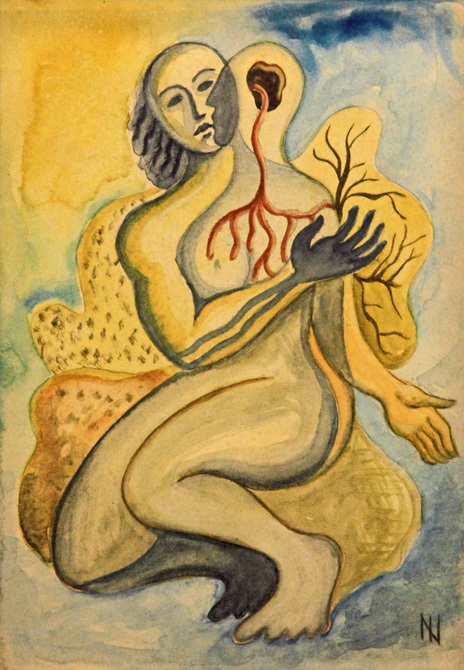 On his second trip to Europe between 1927 and 1928 he discovered the work of the Surrealists and of Chagall. 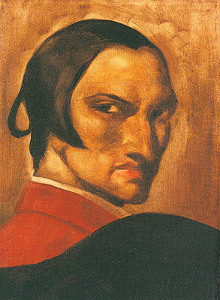 Nery was already steeped in his own Thomist-based philosophical-religious doctrine, which his close friend the poet Murilo Mendes called essencialismo. 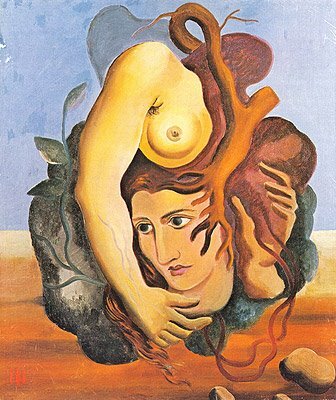 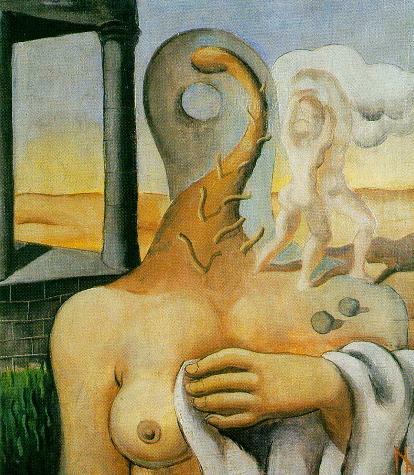 He used that and Surrealist themes such as dream and nightmare, spirit and flesh to create an artistic vocabulary that he expressed in painting, poetry and, more freely, in drawing. 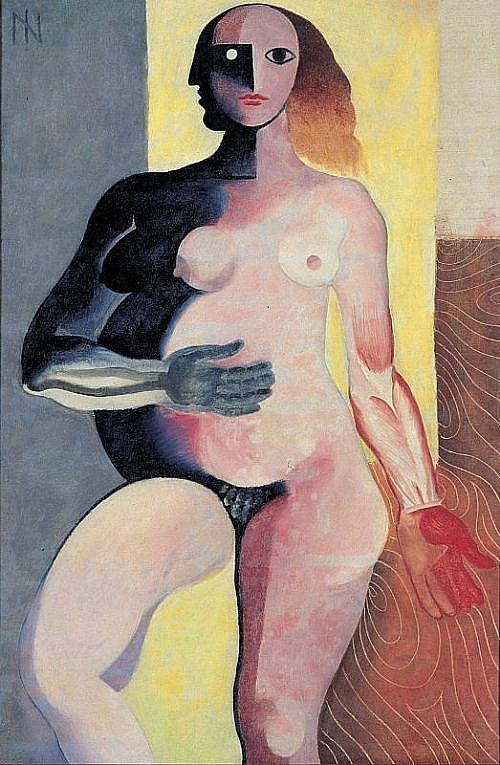 His images centre on the human body, especially that of the artist himself in an obsessive play of masks and mirrors, revealing a search for identity. 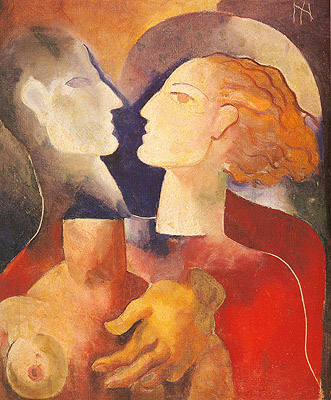 Recurrent themes in works such as Standing Figure are a fusion of I and the Other, the attraction of the Double, a joining of masculine and feminine, and Adam and Eve united in love and death. 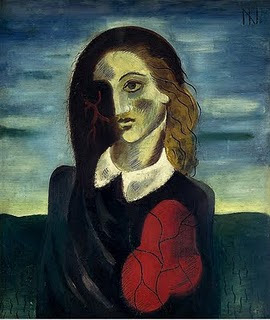 He also painted portraits such as that of Adalgisa. He died from tuberculosis and received recognition only with the 1966 retrospective organized by the Petite Galerie, Rio de Janeiro. 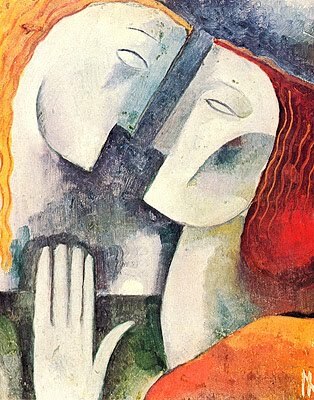 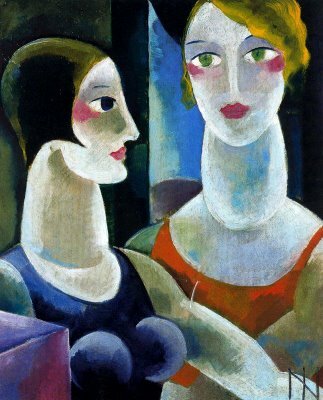 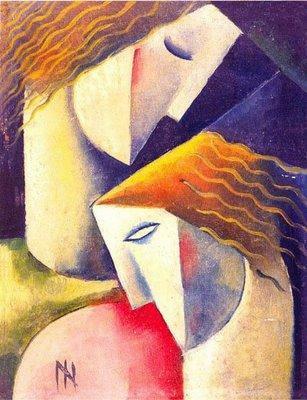 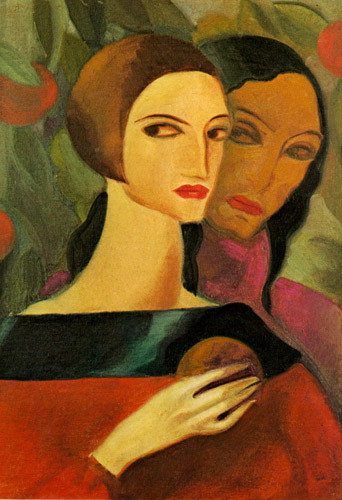 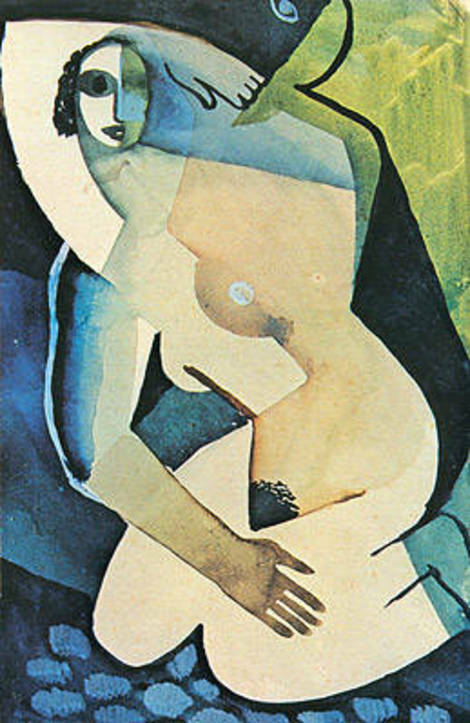 "Io sono l'uomo e la donna, sono l'unità infinita" così amava definirsi Ismael Nery e queste poche parole condensavano la sua proposta filosofica-pittorica, l'essenzialismo", la sua ricerca spasmodica dell' Essenza, dell'unità."